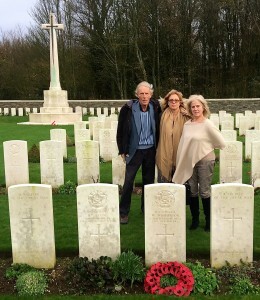 In Search of three brothers killed in action..
My mother and father and I went with Jon to Arras in search of the graves of my grandmother’s brothers, 3 out of 4 of whom were killed in WW1. I had done some research into their lives but I was absolutely delighted with the research that Jon had done for us which included copies of their birth certificates, sign up papers, medical reports, battle reports and death certificates. As a History teacher myself, I was particularly impressed with the extent of Jon’s knowledge on the different battles. On the first day Jon picked us up in a spotless car with snacks and water all available. 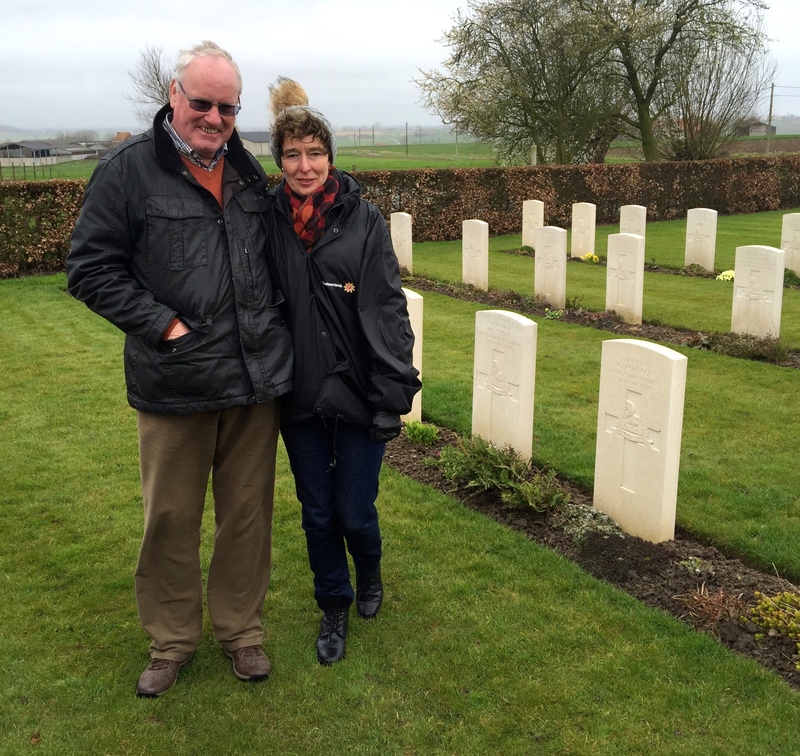 We went straight to Terlincthun cemetery where Mark Washbrook was buried. 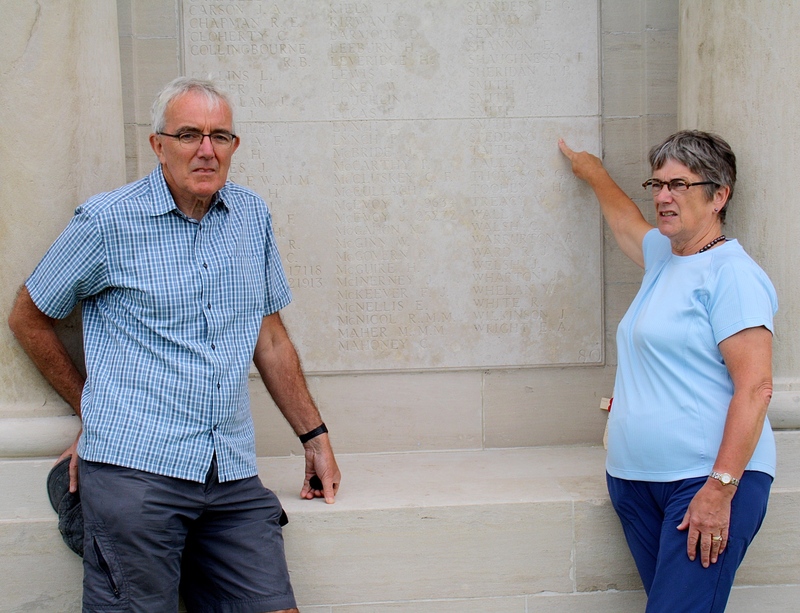 The next day we had a moving tour of the Somme and visited the grave of Harry Washbrook at Warry Copse Cemetery and on the final day we went to see Vimy Ridge where Walter Washbrook was buried in the Canadian cemetery. I would recommend a trip with Jon without hesitation. ‘After 98 years, and thanks to Jon, we were finally able to be reunited with our Uncle, Private Robert Smith. He was a First World War Jamaican solider from the 7th Battalion of the British West Indies Regiment who was killed on 12th September 1917, age 23, in Ypres, Belgium. He was one of many ordinary people who made the ultimate sacrifice and who gave their lives for us. Our experience was absolutely fantastic from start to finish. We were collected from my house, in South London by Jon and Mick and taken to Belgium in a spacious and comfortable Mini-bus. We immediately took to their kind, warm personalities and were made to feel extremely welcome. A fourth battlefield Pilgrimage! 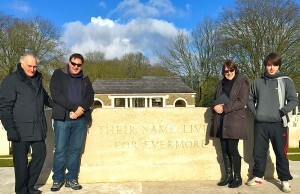 LOOS 100 years on..
To the Australian Battlefields of the Somme..
Virginia and I, along with sons Thomas and James were really pleased to have had the day with you on the Somme and its surroundings. 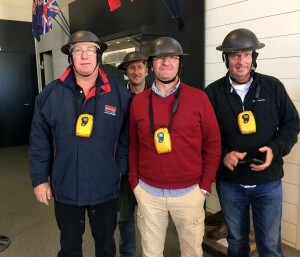 Your knowledge and experience we would recommend to anyone wanting an excellent exposition of this area of WW1 which might be significant for Australians. Professor Sir Alan Craft and Lady (Anne) Craft. Newcastle University. The Sacrifice of Canada. Brothers in Arms. 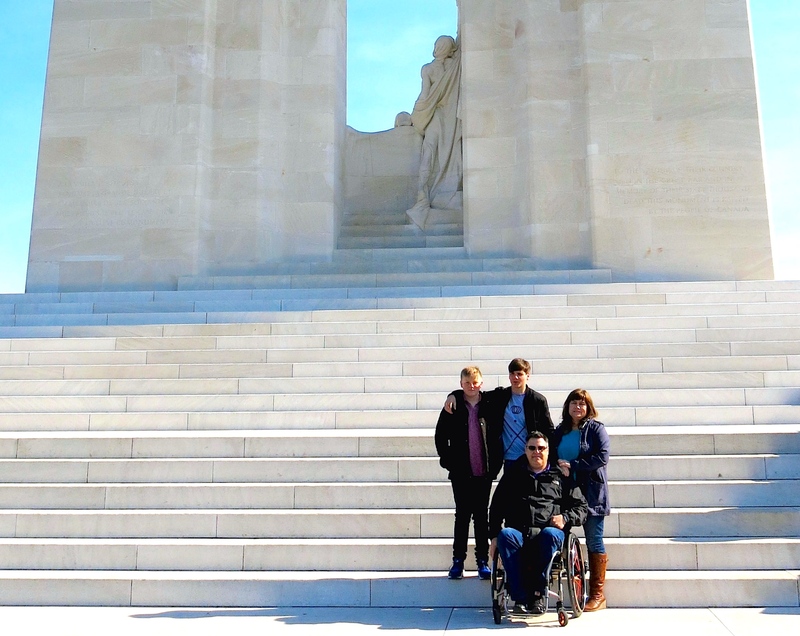 It was a truly wonderful experience to have Jon take us on a tour of the Somme Battlefields, Vimy Ridge and the cemeteries where my three great uncles are buried, which would have been very difficult to get to on our own. He also researched and provided information on the battles they were involved in and even brought remembrance crosses to place on the graves. Jon has a wealth of knowledge and is very passionate about what he does. He always ensured we were comfortable and took us to as many places of interest as possible, in addition to those on our list. 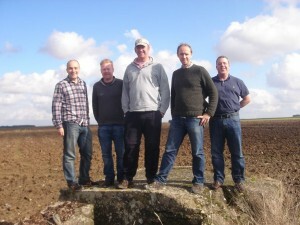 He is a fantastic guide and we would highly recommend Jon to anyone interested in touring the battlefields of 1914-18. In remembrance of three McIntosh Brothers. Killed in action Somme, Vimy Ridge and Lens. 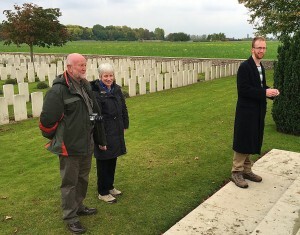 We were lucky enough to have Jon take us on a tour of the Somme battlefield, including a special visit to Loos to find my Great-Grandfather’s resting place. Jon researched my Great-Grandfather before our visit and presented me with a wealth of information, including service records and the diary of the battalion commander, with reports of the battle in which my Great-Grandfather was killed. Jon has an encyclopaedic knowledge of the region and was able to provide a fascinating commentary as we travelled through the area. He was also a fantastic host and made sure that my partner and I were comfortable throughout our trip. To the Arras Memorial and Battlefields.. 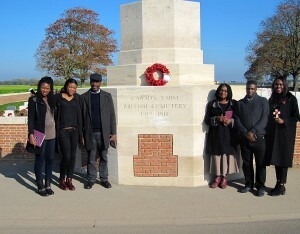 In the footsteps of (Great) Uncle Clarence Stocks, 11th Royal Warwicks. Missing. Greenland Hill. 23 April 1917. Australian action spots and beyond.. I would like to thank you for such a wonderful battlefield tour you organised through the Somme. Your knowledge and expertise on the WW1 Battles is truly remarkable and a credit to you. We still comment in disbelief as to how you can memorise all the dates, battle details and events that took place, in a raging war 100 years ago. It is your passion and knowledge of the WW1 battlefields that has helped me understand what these men went through, and the conditions and sacrifices they encountered. 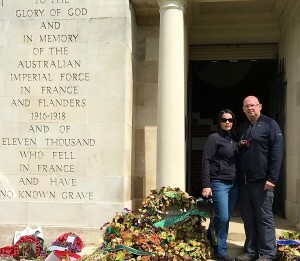 I will never forget this tour, and I now have a better understanding of the WW1 history and bloodshed that occurred on the beautiful lands of France so long ago. Well done. 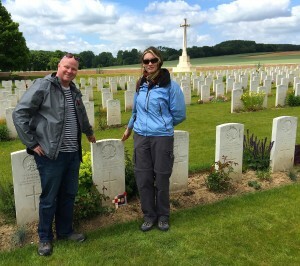 My Family and I had the idea to visit the battlefield sites and graveyards of Northern France as a bit of an educational holiday, we thought it would be helpful to have a guide with us, who could at least show us where best to visit. With Jon, what we got was a rich seam of fascinating facts, (quite how he retains such detail is a mystery to me), but he has interesting and moving stories in abundance. 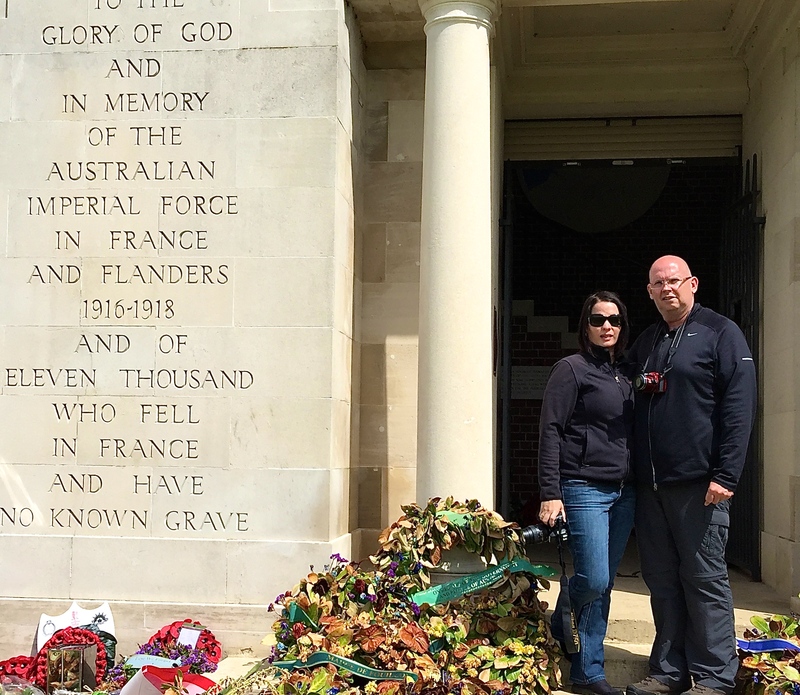 To visit the battlefield sites and graveyards with Jon is thoroughly recommended, because you will come away with the kind of deep impression of what it was like for these brave soldiers, that you will never get from a guidebook. The wind howled, the rain poured. 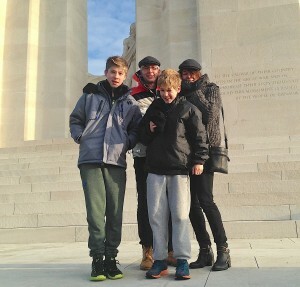 Ypres.. But, what a great weekend we had! 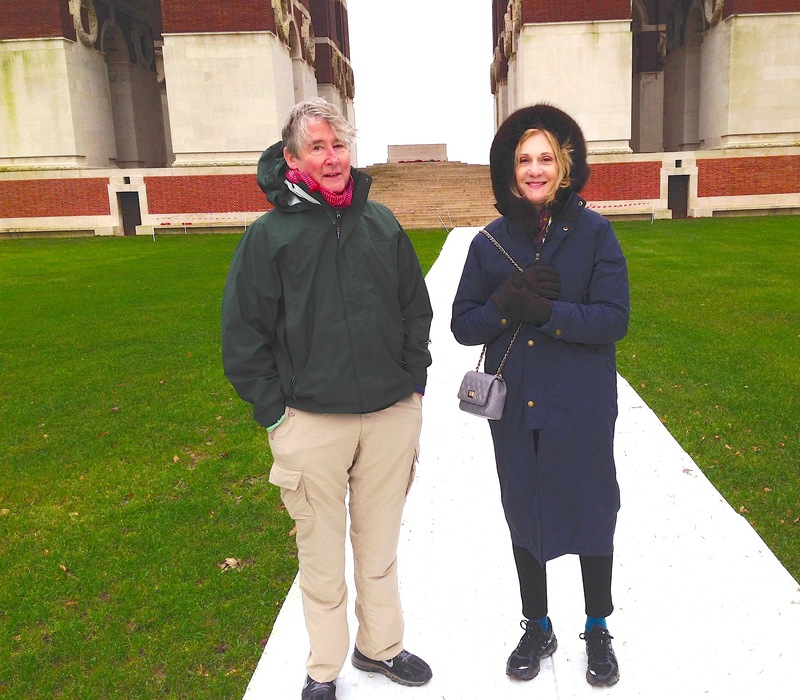 With Jon’s extensive knowledge of the battles of the Great War and the men who fought them, we were, by turns, informed, moved and entertained. 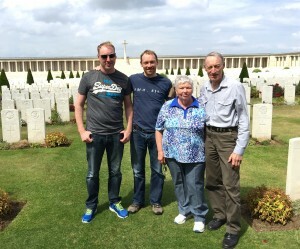 We visited the places where our ancestors fought and where their comrades lie buried, attended the incredibly moving ceremony at the Menin Gate and visited cemeteries large and small, from the vast, beautiful, sad but curiously uplifting Tyne Cot to the dark, brooding and mournful German cemetery at Langemark. All have their own stories and we were fortunate to have Jon to relate them to us. 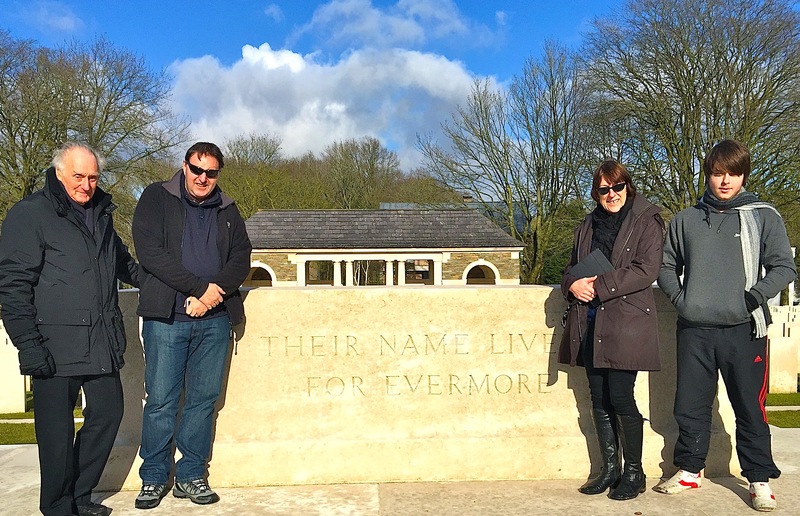 We can’t thank Jon enough for making our Pilgrimage to Ypres salient so special – maybe a Pilgrimage to Arras in the future? After last year’s trip to The Somme with Jon, he showed us round the battlefields of the Ypres Salient where he is extremely knowledgable. We went ‘ off the beaten track’ and Jon interspersed personal stories along with historical information, bringing to life the human aspect. I work for the CWGC at the head office and in visiting many cemeteries can appreciate even more the commitment the organisation has undertaken, not just on the Western Front but around the world. We could not recommend Jon Nicholls highly enough and hope to experience more trips with him in the future. Jon Nicholls, thank you so much for making our trip to Arras and the Loos battlefields so enjoyable. 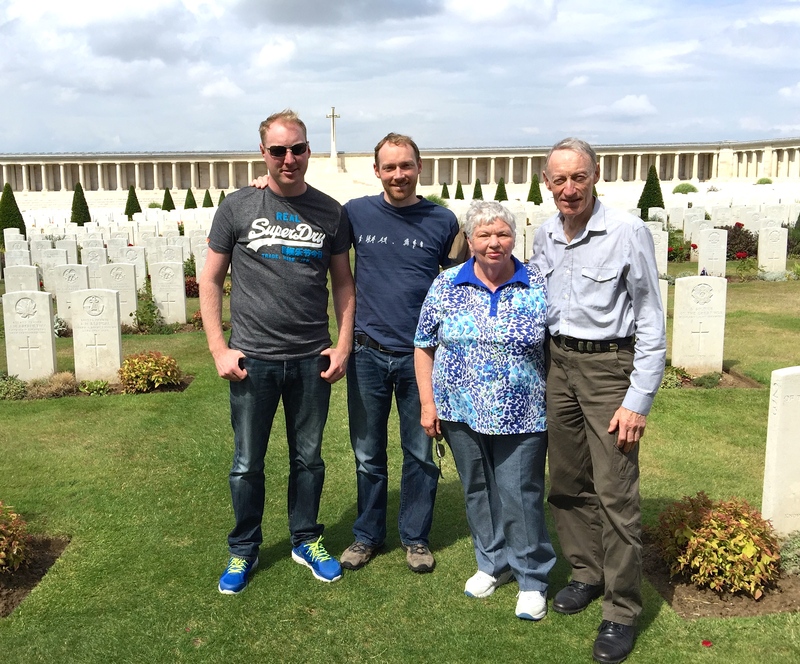 If anyone needs information or a trip to the battlefields, Jon is your man – superb! 2nd visit to the old action spots. 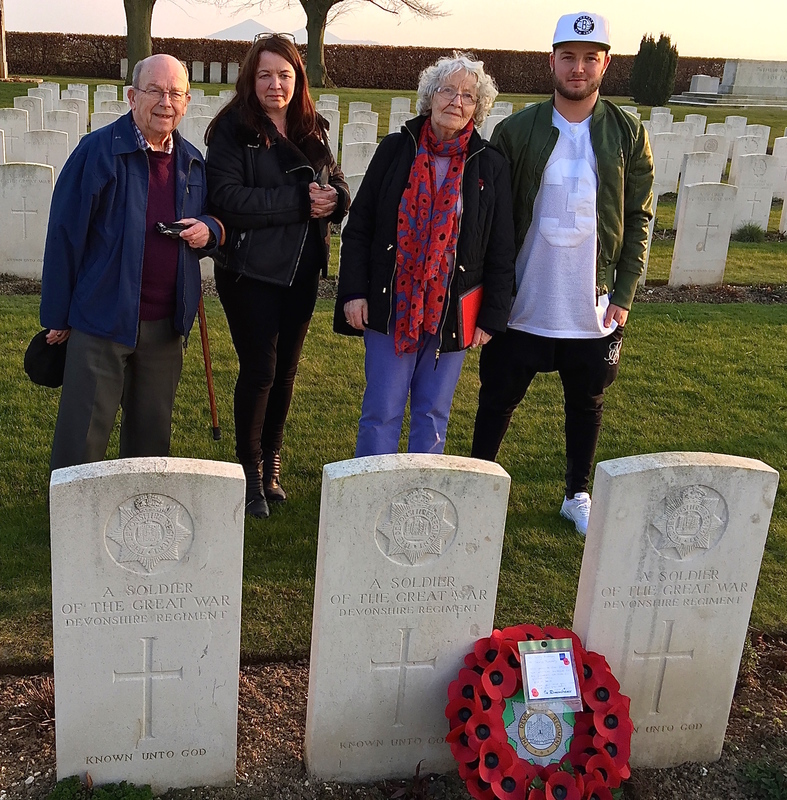 Heartfelt thanks for the wonderful and moving day you gave me and my family touring the battlefields and cemeteries of Arras. It’s hard to get the attention and respect of 14 and 11 year old boys who spend too much time playing computer games but the clever way you linked the soldiers stories and the historical facts to their interests, held their attention throughout the day. My elder son said afterwards – “That Jon guy is cool” No greater accolade is possible! Karen and I were deeply moved by the personal stories you were able to relate as well as impressed by your vast historical knowledge. The icing on the cake for me as a musician and avid, Pink Floyd/Roger Waters fan, was hearing first hand from you the Bill Hubbard story and then your going out of your way to find for me, the grave of Roger’s Grandfather, George. We took a group of 5 lads to the Arras Battlefields with Jon and thoroughly recommend this trip. Jon took us to the main sites but mixed that up with ‘off the beaten track’ locations such as the old fortifications of the Hindenburg Line. 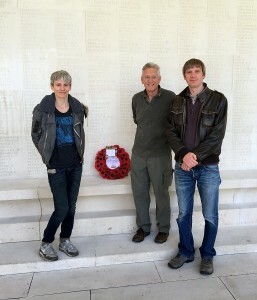 Each site visit was accompanied with original accounts and anecdotes, many of which Jon gained from veteran soldiers. He took us down tracks and overlaid our GPS location with war trench maps to show that we were standing exactly on the old front line. All of this personalised and brought the trip to life. Without Jon’s knowledge and guidance we would have ended up on a ‘black and white’ visit to the main sites frequented by the usual tour buses.